Man I feel like I’m just going through treat creation after treat creation since Valentine is coming up. Seriously, so many sweets! My grandma makes the most amazing bonbons. 100% they’re delicious! I used to love them as a kid and I still love them as an adult. In fact, they were one of the things I asked to have at my baby shower. My poor grandma made a ton of bonbons just for me. I probably ate half of them by myself. 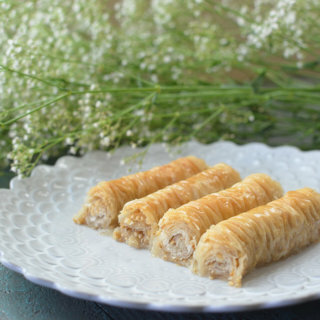 I wanted to make a version of these that were *slightly* healthier. Now, the big reason I wanted to change the recipe, was because there is paraffin wax in the chocolate. The wax helps it coat the coconut balls and then hardens well. While these are delicious, I’ve always thought it wasn’t a great idea to eat wax. 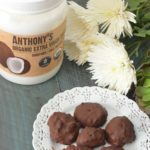 Antony’s Goods was super kind and sent me a huge jar of their coconut oil. 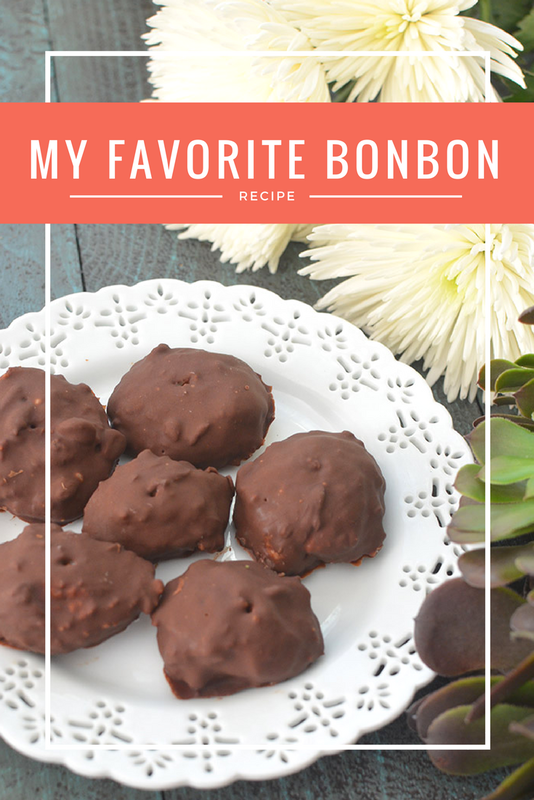 I thought, hey this would be a perfect opportunity to recreate the bonbons without paraffin! Now if you haven’t heard of Anthony’s Goods, you should check them out. 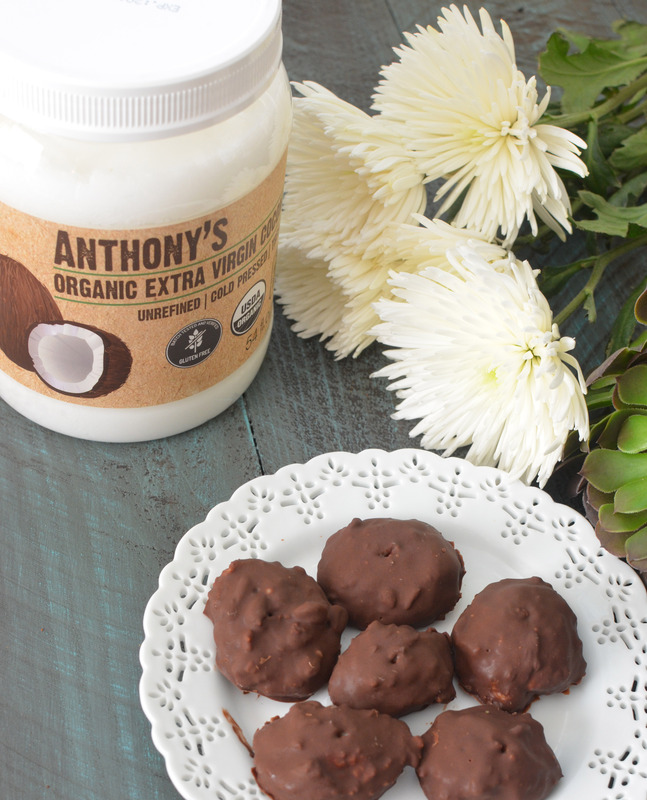 Their coconut oil was delicious and I found out that unlike many companies which send their product over in barrels to be packaged in the States, Anthony’s packages theirs at the source. I think that’s pretty snazzy! 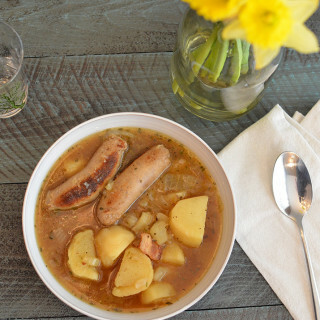 Overall, I was extremely pleased with how the recipe turned out! They need to be in the freezer for a bit longer, but they still have that delicious taste! 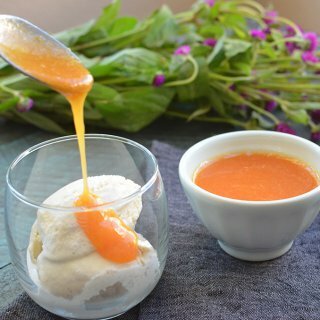 For this recipe, I created my own sweetened condensed milk! It wasn’t terribly hard and it came out great! It doesn’t have the normal, crazy thick consistency as the one in the can, but it has a fantastic taste. After you make the milk, you will combine that with walnuts, coconut, and sugar in a food processor. 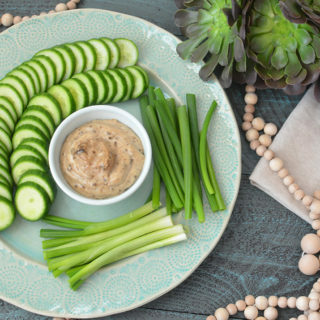 When everything is combined, you’ll be left with this delicious, creamy mix! Scoop out little balls and place them on wax paper. These are going to go in the freezer for about 30 minutes. 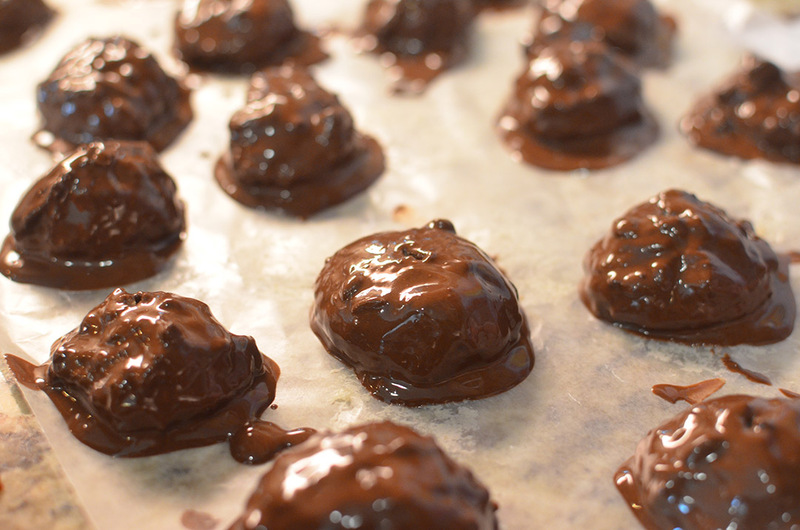 About 8 minutes before you have to pull the centers out of the freezer, get your chocolate coating going. 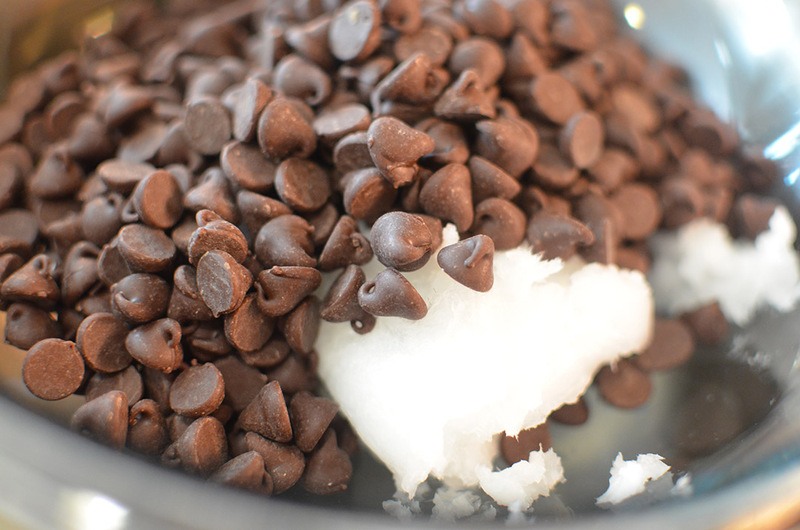 Mixing coconut oil with chocolate chips will give you a nice thickness for your exterior that easily coats. Just melt the two together in a double broiler. Dip the centers in the chocolate making sure to cover all sides. 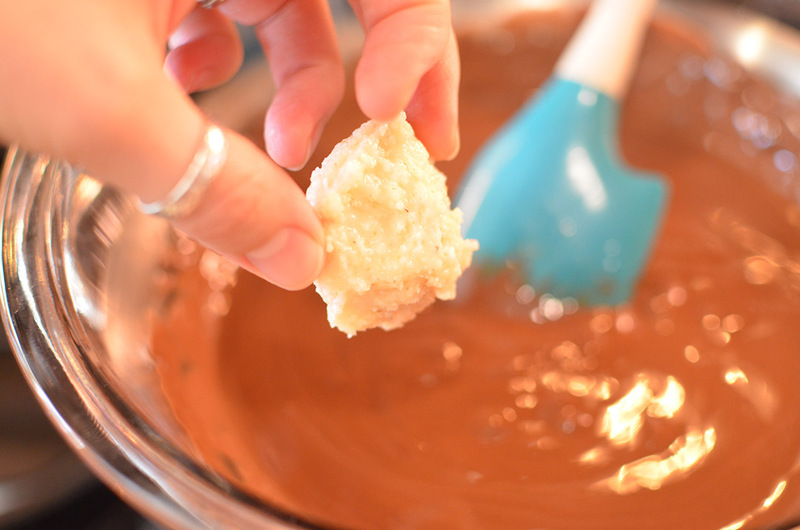 I use a toothpick to pull the bonbons out of the chocolate mix easily. Set them back on wax paper and return to the freezer. I like to leave mine in the freezer and remove them right before I’m about to eat them or guests arrive. Happy eating! *I was gifted a jar of coconut oil from Anthony’s Goods. This is an honest review and I would never recommend anything I did not like myself. Creamy coconut filling covered with rich chocolate! 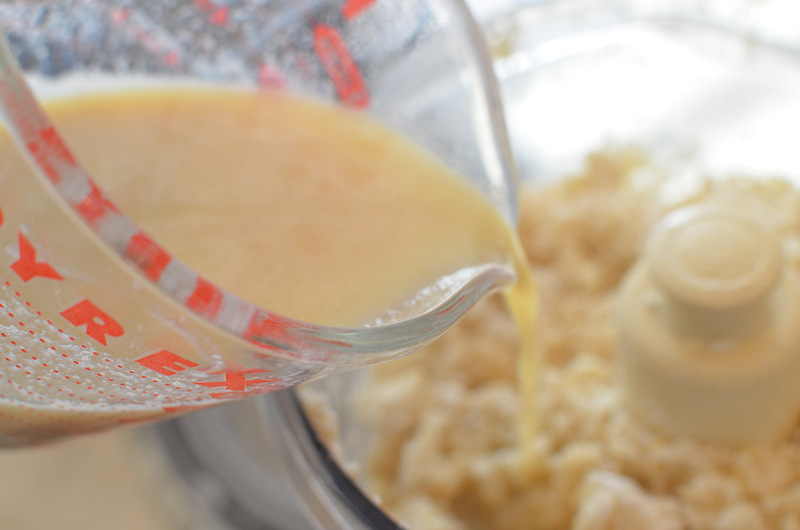 In a saucepan, combine raw sugar, whole milk, vanilla, and 2 TB of butter over medium heat and whisk well. Once everything is combined and reaches a low simmer, turn heat to low. Simmer for about 30 minutes or until mixture reduces to 1 cup. Whisk every so often. 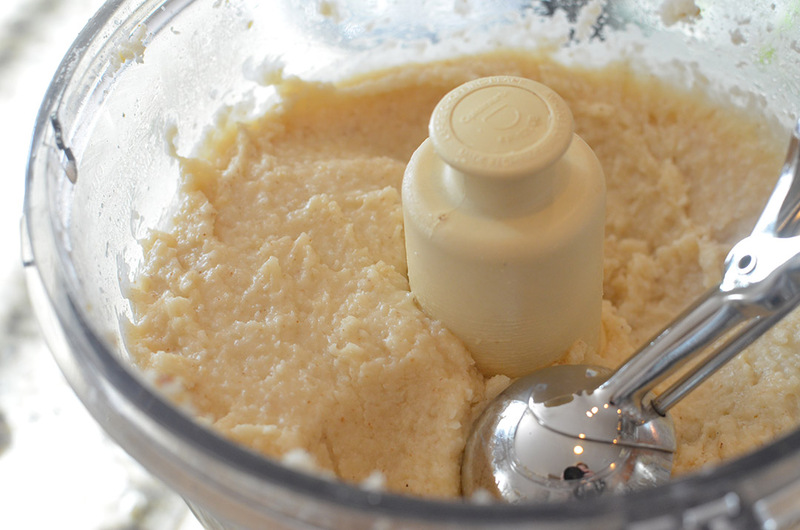 In a food processor, add coconut, walnuts, powdered sugar, remaining butter, and the condensed milk mixture. Pulse till combined and has a sticky consistency. Scoop out mixture into little balls and place on wax paper. About 8 minutes before you take your center mix out of the freezer, place chocolate chips and coconut oil in a double broiler to melt. Mix well. 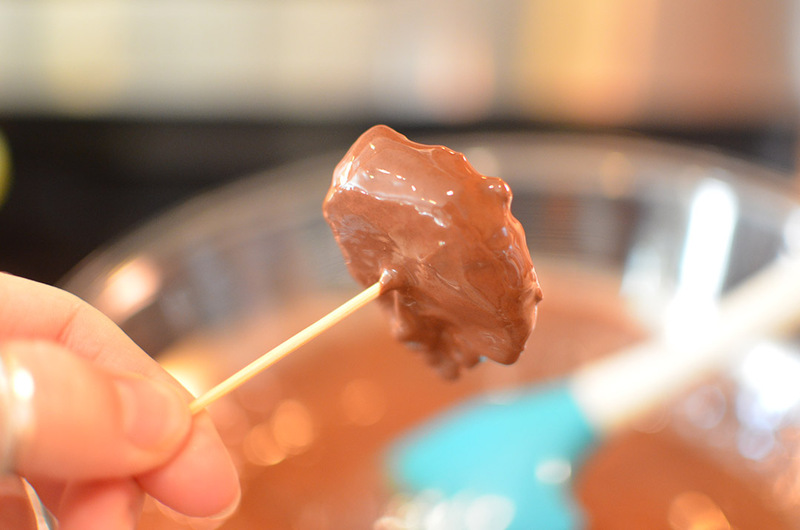 Once chocolate mixture is ready, pull out the frozen centers and dip them one at a time into the chocolate mix until coated. 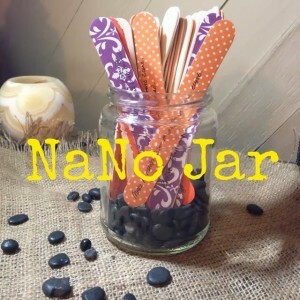 Use a toothpick to pull out of chocolate and place the coated bonbons onto wax paper. Return to freezer when all bonbons are coated. I like to leave the bonbons in the freezer and will pull them out right before I am going to eat them or before guests arrive. After they sit out for a while they will have condensation on them from temperature change, but I feel they hold their shape and last longest in the freezer.